The romantics have often been regarded as reactionaries, because of their unwelcoming attitude towards the great mutation that the industrial revolution was about to produce in their country. A revolution is a radical, somehow violent change, whose consequences are often unpredictable, but the early romantics instinctively felt that the great transformation the world was undergoing wouldn’t have been free of charge. Modern man, once left his “natural state” and thrown into the dynamics of a materialistic and competitive society, dominated by the threat of clock time, would have seen the nature of his certainties collapse with the consequent urgency of redefining a new scale of values. But what kind of values can a materialistic society produce? Wealth? Success? Career? Can a society, where the imperative is “time is money” and where men are treated as small mechanisms of a careless system, be considered as an improvement to the previous one in terms of quality of life and, why not, happiness? Certainly not. That’s why the romantics kept on fighting strenuously against “modernity”, advocating the superiority of the values produced by the “old” world. If men abandoned their Eden, their natural state, just like modern Adam and Eve, they would only find pain, hard labor, misery, hence slowly becoming insensitive and indifferent. Therefore they began to strive using their lines as weapons, lines that they had deliberately simplified in order to reach with their message the heart of as many people as possible. They talked about the importance of memory, the beauty of nature, the necessity of a world of sensibility without restraining from the impulse of imparting a moralizing lesson. But the process now couldn’t be stopped and somehow they were defeated by the course of events. The great industrial change had spread all over the country and towns, like mushrooms, kept on growing disorderly but faster and faster. At the altar of “modernity” man was sacrificing his greatest gifts as well: his creativeness, his sense of taste and harmony. Man now needed to put at the top of his scale of values beauty, many artists claimed. The most optimistic were convinced that educating people to beauty would have meant to improve man’s ethical sense at the same time, but the majority of them thought that now it was too late to teach anything to anybody and kept themselves away from the rude and insensitive masses. The first five decades of folly of the twentieth century and two world wars swept away the few certainties and values left and men seemed now motionless seated on a “heap of broken images” of the past waiting for their Godot like Beckett’s Vladimir and Estragon. We are still there. I am not so much into horoscopes and such, but I have to admit that occasionally I succumb the impulse of reading one, even if my reason rebels to the foolishness of that impulse, suggesting that the whole world cannot be divided in twelve proto-types of people who share more or less the same character, destiny etc.. I know that somebody would say: ” Ah,ah, what about the ascending sign?” Ok, let’s talk about it….or better, let’s not, because the question is : why do we try to sneak a glimpse at the future even if we profess ourselves agnostic in the field of divination? The answer is simple: we are weak, nobody excluded, and sometimes we need a word of hope, any word from anybody even a fortune-teller. In the Waste Land, Madame Sosostris, “a famous clairvoyant” , is defined by T.S.Eliot as “the wisest woman in Europe” .That adjective “wise“, referred to a fortune-teller, emphasizes the degree of desperation of the post war generation who found an empty consolation only in the false certainties provided by an alleged seer “with a wicked pack of cards“, superseding in this function religion itself. 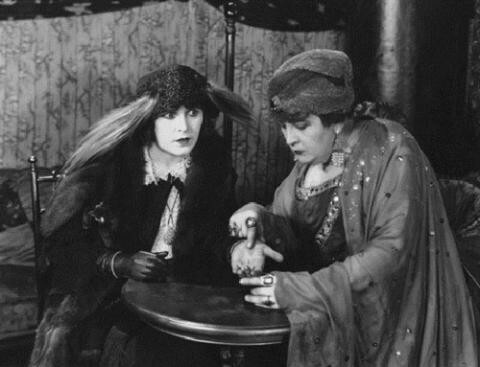 It isn’t even clear whether this Madame Sosostris is actually a woman, since Eliot seems to have taken this name from a character of Aldous Huxley’s novel Chrome Yellow : “Sesostris, the Sorceress of Ecbatana,” who was actually a man dressed up as a woman, who played a fortune-telling gypsy at a fair. 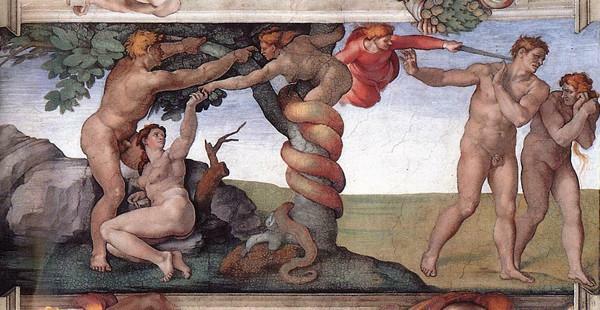 In this way Sosostris would have shown the same connotations of sexual ambiguity which foreshadow Tiresias, the blind prophet of Thebes, famous for clairvoyance and for being transformed into a woman for seven years. Madame Sosostris could also be a reference to Madame Blavatsky, a Russian-born scholar of esoteric who was so much in vogue at this time, that some people probably thought her “the wisest woman in Europe.” However,I wonder who we might consider wise or the wisest nowadays, because even if I try hard, I can’t find a Madame Sosostris anywhere.